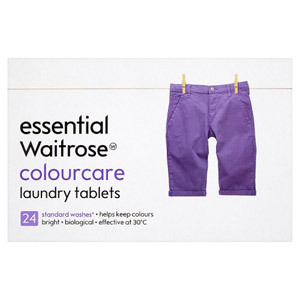 Laundry tablets are the quick and straightforward way to do your washing; simply fill your machine with laundry, add a couple of tablets to your washing machine drawer (or only one tablet for smaller loads) and press go! Each tablet contains a powerful dose of cleaning power that has been carefully measured for your average laundry load, so there is no danger of over-washing or under-washing your clothes. We have a carefully chosen selection of tablet boxes from the most popular UK brands, and our 40 tablet boxes should help you keep on top of your dirty laundry for a good few months. 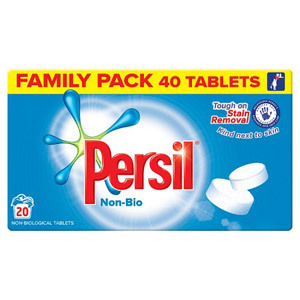 Make sure you check out the options and choose the best tabs for you; non biological tablets are great for people with sensitive skin, but if you are looking for a more vigorous clean then biological tabs may be the way forward.